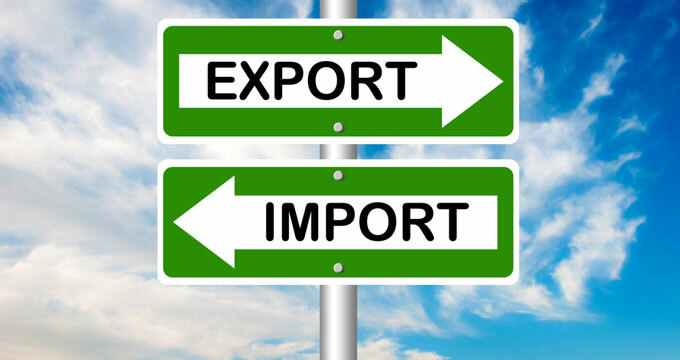 The first requirement before you start an import-export business in India is to obtain an Import Export Code (IEC). An IEC is necessary for import or export of goods. In case the import/export is of services or technology, IEC is required in only limited circumstances, when import/export is in ‘specified services’ or ‘specified technologies’, i.e. services or technologies in which international trade is restricted by the Government of India as they pertain to national security, such as dealing in nuclear weapons, automatic guns, etc. Import Export Code is popularly known as “IEC” or “IEC code”. It is a 10 digit number issued by Director General of Foreign Trade (DGFT). IEC is also known as an import-export license. Every exporter or importer of goods shall have IEC code along with them to be eligible for Import Export in India. To be an exporter or importer of anything, every person must secure this license for exporting or importing anything outside India. Import/export of goods for personal use, which is not connected with trade, manufacture or agriculture. IEC code is allotted only once and it is valid for lifetime. It’s like PAN card. There is no compliance prescribed for IEC and hence, no compliance cost. The IEC application form is ANF 2A. This form can be downloaded from the link below. However, the IEC process is completely online. Hence, it should be applied online. Procedure for obtaining IEC An application must be made in the Aayaat Niryaat Form 2A (ANF 2A) format to the Regional Authority of the Directorate General of Foreign Trade (DGFT) in the region where the registered office of the company is situated. An application must be made in the Aayaat Niryaat Form 2A (ANF 2A) format to the Regional Authority of the Directorate General of Foreign Trade (DGFT) in the region where the registered office of the company is situated. Sr. No. Documents For Proprietorship For Partnership For Private Ltd./ Ltd.
2 List of Partners/ Directors Residential address, Pin Code, Phone Number, Father’s Name Residential address, Pin Code, Phone Number on letterhead. List of Directors with, residential address, Pin Code, Phone Number on letterhead. 7 Company’s Letterheads Two Nos. Two Nos. Two Nos. The DGFT has provided online filing facility for obtaining IEC and other authorizations. Form ANF 2A requires basic details of the business and its proprietors, partners or directors (as applicable), bank account details and a bank certificate (where the business has an account) stating the period for which the business has an account with the bank. IEC code holder does not require the filing of any returns. Even individuals who are proprietors can obtain the code in their name. It is not necessary to set up a business for the same. Export Subsidies: On the basis of IEC, companies or firms can benefits and subsidies their exports/ imports from DGFT, Customs and export promotion council. Lifetime validity: IE Code is issued for the lifetime of the entity and requires no renewal. So once an IE Code is obtained, it can be used by the entity for all its import or export transactions without any further hassles. No Return Filing: IE Code does not require the filing of any return. Once, an IE Code is issued there are no further procedures required to maintain the validity of the IE Code. Even if import or export transactions occur, there are no filings required to DGFT. The import-export code is popularly known as IEC code, which is a 10digit number issued by DGFT in India. IEC is a mandatory requirement to import or export from India. You can even register for International online marketplaces like amazon.com, Alibaba.com etc. You can claim the refund of various taxes paid while exporting the goods. the goods within a time frame. There is a completely online process for IEC registration. You don’t need to fear bureaucracy anymore. No more inspector. IEC once issued, it’s issued for the lifetime. There are no renewal fees for IEC registration. IEC registration is mandatory if you are dealing with import and export. There is no need to file any periodical returns etc. It is similar to PAN card. There are no annual maintenance fees for IEC, as there are no legal compliances prescribed. It lays you complete relaxation in your busy schedule. Submit documents and make payment online. It can be done by three simple steps. Individuals can have IE Code: Even individuals who are proprietors of a business can obtain IE Code with their name. It is not necessary to incorporate a business entity for obtaining IE Code.